I'm a returning Gimp user and I'm trying to access the gimp plugin registry, but it seems to be down or something: it isn't responding. Could be that it is gone for good this time. You can sometimes get a script if you can search and find the script URL. Then paste that into the internet archive search which might, (but not always) get a result. but that is not guaranteed to be around forever. Often best way, as here, ask on a Gimp forum. Someone, somewhere will have a copy. Thanks for that. Nice to know it has been saved. Then just like any other web page. Under the 'L's an entry for Layer Effects, Right click to download. Btw, you can also get the files directly, if you know the name (In my case, layerfx.scm), in the "\registry.gimp.org\files" folder. That folder seems to hold every plugin there was on the website. Ok so thanks to you I finally got the layerfx.py Plug In however I cant see where it is and it seems to be the same plug in like I already had which includes l Layer Effects, but that has been giving me an errors. Anyone help with that would be great. thanks. You have your white on transparent active layer over the base layer. You bring up the Tree_bark script and with default settings the two textures are showing correctly. Ok the script, it runs & produces a load of layers. 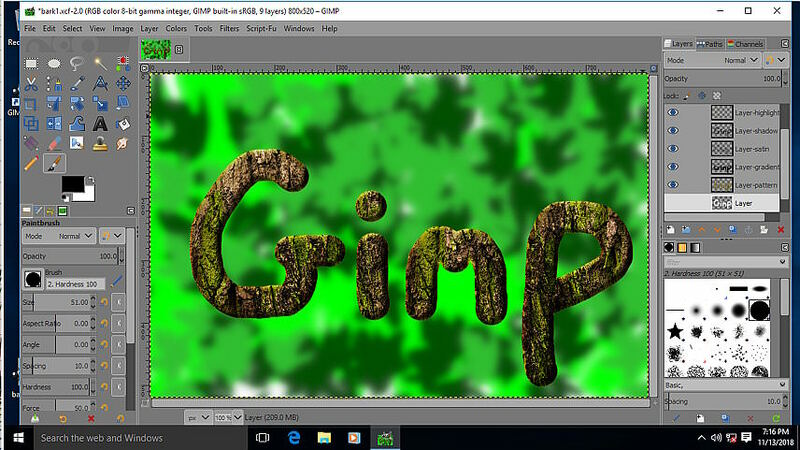 edit: The layerfx.scm does work here but remember that it was made for Gimp 2.6 and hence a little flaky. 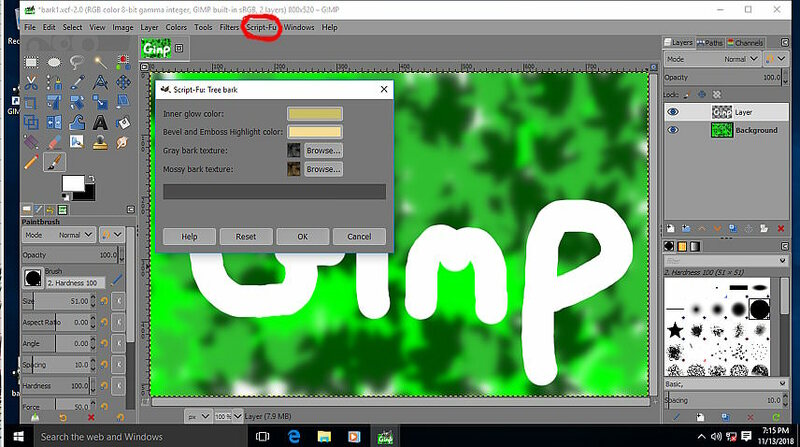 Remember to work on a layer with transparency and if using text expand the text layer to the canvas size. 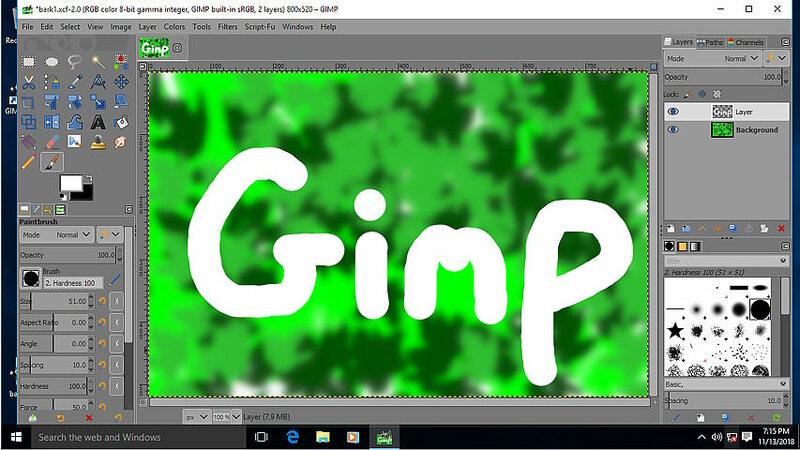 Gimp 2.10 uses different layer modes, some thing might not work as expected. Layerfx.py might be a little better, same issue with layer modes. However it is a plugin that I rarely use. update: tin updated the tree-bark script in case it does not work on your installation.